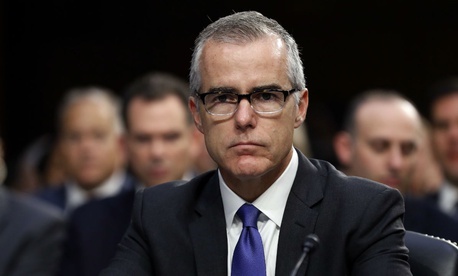 While the IG's findings have not been made public, the FBI’s Office of Professional Responsibility—an ethics unit set up to be independent of the chain of command—recommended that McCabe be fired. The Federal Practice Group's Friedman said, "We are living in a dangerous time when the president of the United States foreshadows a career civilian's removal from service. His and the AG's actions demonstrate that the constitutional barriers designed to separate the presidency from the independence of our federal law enforcement agencies no longer exist and should cause great concern to all federal employees ability to independently fulfill their job duties." This story was updated with a comment from Susan Tsui Grundmann.